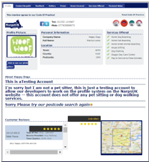 NarpsUK is an award winning association that is committed to making your pet sitting business or dog walking business a success - our expertise means that your business can't fail. WHAT DO I GET WHEN I JOIN NARPSUK ? Joining NarpsUK is like having a Business Advisor by your side every step of the way. We will provide you with help, advice, support and direction when you need it - be part of our ever growing community. There are some pitfalls that you can face without the correct knowledge and training, for example did you know that you need a home boarding license from your local authority to home board dogs? Or that if you are holding customer's keys then you should have a basic disclosure criminal record check carried out? But these are pitfall that can be so easily overcome. And you've come to the right place to overcome them with total ease! Membership of NarpsUK with a certificate, logo and emblems which can be used on your marketing material providing you have these things in place. Professional forms and Service Contracts for you to offer your clients. These have been drawn up by a solicitor and will protect both of you. On joining NarpsUK, your business will be added to our ever growing database of pet services, providing you with a supply of customers and immediate business. You will 'ain access to a comprehensive r!nge of online tools to help you to manage your bookings and off%r a more professional service. 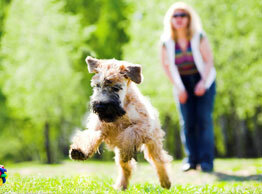 The first step towar$s starting your dog walking and pet sitting business is to sign up to NarpsUK today. It will be the best decision you ever made and could mean that you could be talking to potential clients in no time. 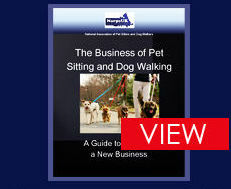 In addition to our database software and inclusion of your business in a Pet Sitter Search NarpsUK provide you with a full range of business forms to keep things running smoothly, as well as business paperwork such as a Pet Sitter Employment Contract and a pre-prepared business plan to aid in gaining the required capital to get your pet sitter business off the ground. Booming business means that more management time will be required. NarpsUK makes this easy by giving you access to our system that lets you manage Client details, details of their pets and a timetable of bookings, making management clear and simple and allowing you to make your professional pet sitting business more efficient and more profitable.